We are excited to bring to you the latest release features on Engati over the last two weeks. Our developers have been busy adding new and necessary features that are pushing the boundaries of what chatbots can do. So, have a look at what we did with Mic Drop 2. We are providing Mobile SDKs for iOS and Android so bots built on Engati can be deployed within your mobile app seamlessly. The SDKs are available as part of the Business Plan and higher. Please contact us at contact@engati.com to obtain access to the SDKs. You asked for it and we made it happen. Unused bots associated with an account can be deleted from within the bot’s Settings page. 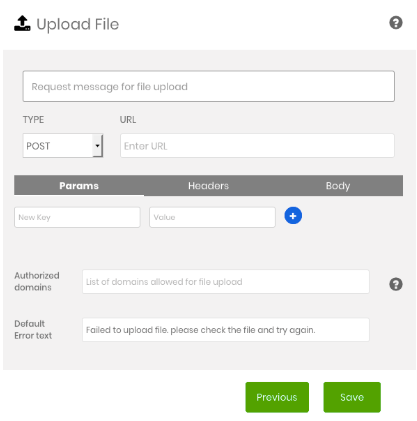 Add the File Upload node within a path to accept files from the bot user. The bot administrator has to set up a backend API to process uploaded files. This feature is currently available for website bots, with a size limit of 5MB per file. The accepted file formats are .pdf, .doc, .docx, .jpg, .png, and .zip. The File Upload node is available only as part of the Enterprise plan. 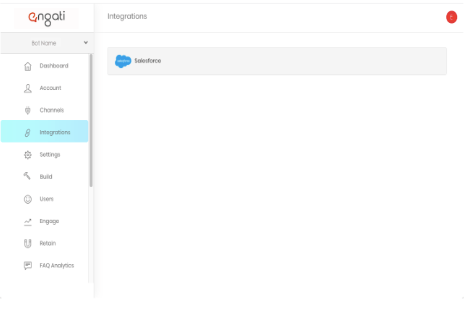 Salesforce Integration is available with the Business Plan and higher. Same Feature Release, New Functionality! Our JSON API node has been expanded in its capability to support custom backend integrations in JSON, as well as allow functionality for the following: POST, PUT, DELETE, PATCH and HEAD. 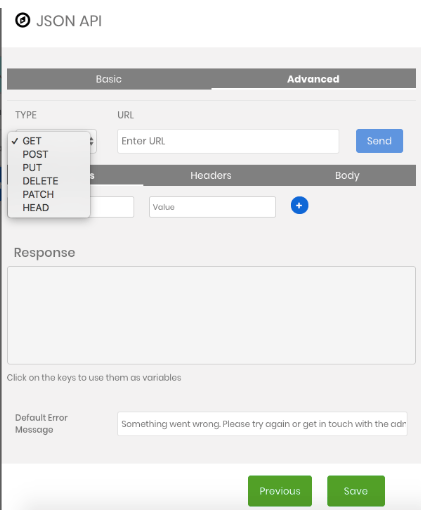 You can use GET calls to populate the Send Message, Send Message with Options, and Send Carousel nodes but with the release of new Advanced settings, it’s possible to specify any JSON format to make calls to, opening a whole new way for the chatbot to integrate with a backend. The advanced JSON API functionalities are available as part of the Professional Plan and higher. Read more updates from Engati.